Our most fundamental human need is to form human connections that are deep, meaningful, and loving. Yet today, there is no easy, systematic way to meet new people who are exactly right for you. Institutions keep us separate from each other to make us feel dependent and powerless. The system is designed to keep us in fake relationships with institutions, while deep down we crave real relationships with other human beings. The purpose of my life is to help you form meaningful, valuable connections with people who compliment and support your needs, wants, and desires. I once believed that the barrier between people was mostly technical, so I designed a new type of social media platform that connects people according to matching wants. Users enter structured sentences describing what they want, and they are matched with other users whose wants are compatible. What I learned is that the problem isn't only technical. The larger problem is that people are afraid to connect. People are afraid to trust, afraid to accept others, afraid to meet new people, and most of all people are afraid to Love. Society is in a state of constant panic -- paralyzed by fear and detached from what is real. The good news is that this hopeless state is not inevitable. It isn't even real. Everything can change in an instant. The power to escape this darkness and to connect with Love and truth is inside each one of us. The disastrous state of the world is entirely related to our unshakable faith in the ego. All pain, illness, and suffering is of the ego. While most people believe that the ego has some value, the ego is a lie that offers nothing. The opposite of ego is Love. I have found that it is quite easy to escape the ego and to live entirely within Love's energy. We must stop believing we can create change by battling corrupt, self-serving institutions designed to exploit us. All the power we need to change everything immediately is outside of that realm--it is alive within us. 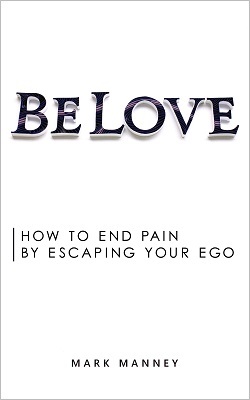 The first step is personal transformation, which happens as easily as reading a book: Belove: How to End Pain by Escaping Your Ego. Transformation fails when you try it alone, in isolation. But when we create a global community of Loving people who have escaped the ego, that is when true change is possible. That is the purpose of this crowdfunding campaign--to build a community based on the principles of Love. Taking part in this movement is effortless, fun, and beautiful. People who have escaped the ego do not attack. They are no longer jealous, judgmental, greedy, or angry. People who are aligned with Love are giving, accepting, forgiving, and open to connecting with others in freedom and oneness. Facebook is all about pride and image, which is of the ego. Our social media site is based on Love. Those are the people you want to meet. The site is already up and running and this community has already begun. If you are open to connecting with a community of Loving people, you can join www.belovetribe.com (though I would highly recommend you read the book first). The site is still basic from a technical & design standpoint, but it is a place where Love can flow. The current version does not make use of the algorithm that matches users based on Wants, but it is a start. The purpose of this fundraiser is to turn this philosophy into a living, global community. This has nothing to do with me, personally. I have no desire to build a following. This is about a higher, spiritual, universal truth and it is about a recognition that it is entirely possible to change the world immediately by connecting with each other in Love. Any funds raised will be used to hire developers, to promote the movement, and to grow Belovetribe.com. While your financial contribution is extremely valuable and helpful, the most significant contribution you can make is to effortlessly offer your truest, most Loving self. I offer to you my book, in Love, and I am inviting you into a beautiful, Loving future. To live in Love's truth is to be attacked routinely by sick egos misguided by delusions of separation. 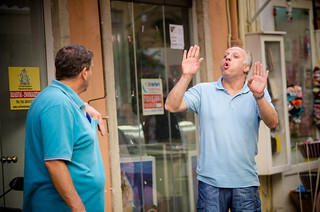 When attacked, the greatest challenge is to continue to be Love--even to Love your attacker--and to refrain from responding to a vicious ego in the language of a vicious ego. After all, why would I want my attacker to feel the hell of shame and guilt? What purpose would my attack serve even if I might win a battle? Is there any victory that is worth the price of hell? Every communication in this world is either an expression of Love or a cry coming from a desire to be Loved. Therefore, the only response to communication of any kind is a Loving, easy, effortless response. To be Loving is not to be passive. It is possible to calmly, Lovingly state your truth--and to do so in a way that melts away resistance. It is possible to be completely honest while at the same time completely Loving. I know that there is injustice in this world. It is everywhere. You are not going to win if you fight it. Stop fighting and start giving. Stop demanding what is yours and start giving what is uniquely yours to give. As radical as this sounds, it is just as true. Do you know how they swindle you? How they exploit you? How they screw you? How they do anything and everything to rip out your soul just to squeeze out a bit more profit? That only happens because you are playing their game. You are in their freaking casino. You are going to their banks, shopping in their malls, driving their cars, watching their news and entertainment, listening to their music, and reading their books and magazines. You are doing it all to fit into their system, which they designed for the precise purpose of exploiting you. How they must get together to laugh their evil laughs through their dirty, cigar-filled lungs and how they must speak their ugly voices from cognac-drenched tongues. It is obvious to them what a sucker you are. You are losing their game; yet, you continue to return to their table believing it is real. Let them win at the grand, ugly, senseless ego game. You can turn your back and walk forward in Love. If you are Love, they will never be able to exploit you again. Yes, you are being screwed, but the way out of this mess is to give. When I say give, I don’t mean only that you should give what little money you have. Forget money. Think bigger. Your gift to the world is far more valuable. The force of giving is found in the act of creating. The ultimate form of giving is creativity. Everything that is has been created. The universe has been created by some supreme force. The Earth and all its nature has been created as a speck of that universe. Beyond that, we humans have also played our role as creators. When we create in Love, we invent beautiful technologies capable of transporting us around the world and making us more comfortable. We make art that pleases the senses and expands our capacity to Love. Through creativity, we gradually shape a world in which it is possible for me to spend hours at a time, in total comfort in Eastern Europe, writing this on an awe-inspiring device that didn’t exist even decades ago. The people who matter are the ones who create. Creating is the ultimate form of giving. To create is to become God-like and Love is the fuel of creation. When you create from ego, you build something meaningless for some short-term profit. You may come up with a scheme to fool people and to rip them off. You may come up with something so practical that it is unambitious and boring and doesn’t sell very well. Screw that, do something big. Ego-based creation is petty, silly, meaningless, and as quickly forgotten as the profits are spent. But when you create in Love, you give birth to something that advances consciousness, creates new Loving connections, and makes people happier and more fulfilled. By giving to your fellow human beings in this way, you will profit in the ways of Love.